How serious are you about your suspension? Chances are you are in the category of people where it does not matter when you start talking little details. Nothing wrong with that. But there is a group of people where these little details start to matter. Where you want to know nuances that seem trivial to normal people. If you are one of those people, keep reading. Different brand springs for 1997 - 2002 GM F-Bodies were purchased and tested to observe the exact spring rates. The springs used in the test were 2011 BMR Suspension rear and front springs, Moog rear springs, GM Stock rear springs and Hypercoil Linear springs. We should first discuss what spring rates are and how they are measured. 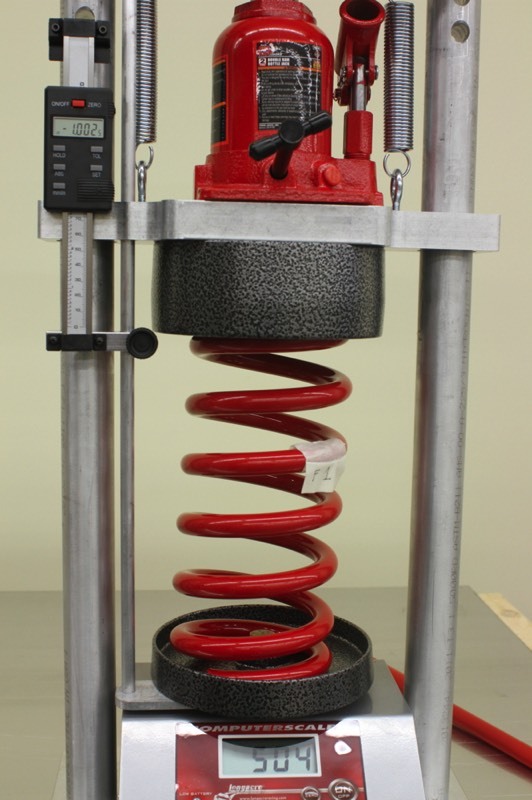 Spring rate is simply a measurement of force required to compress a spring over a distance. By applying a force and measuring precisely every one inch, you can get the spring rate throughout the operating range of the spring. The unit of measurement we are using for the spring rate is pounds per inch (lb/in). 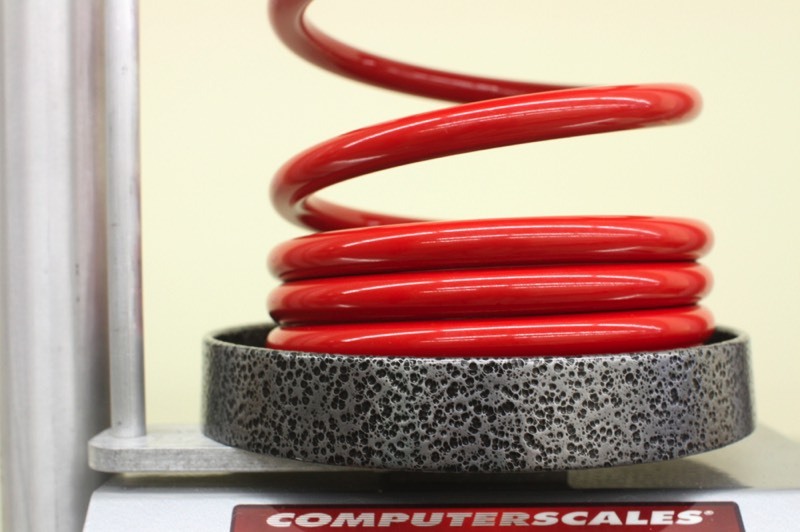 There are two types of springs being used in this test. Linear and dual rate springs. 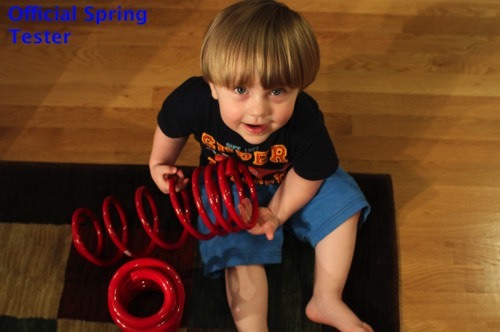 Linear springs have the same spring rate throughout the operating range of the spring. For example, a perfect 150 lb/in linear spring would have a spring rate of 150 lb/in throughout the operating range of the spring. A dual rate spring has two different spring rates. One spring rate is lower than the other and crushes before the stiffer part of the spring takes over. A Longacre spring test machine was used for the test. The machine measures change in distance to the nearest 0.001” and load cell accuracy is rated at 1 lb. In short, accurate and repeatable. The factory GM springs are repeatable and accurate for the money. Makes sense but still amazing considering the number of springs manufactured. Great quality control. MOOG springs had repeatable results but not close enough for our taste to the 162 lb/in rating. Each spring was also different in height. Would not recommend this brand of spring to anyone. The BMR springs had a nice finish and were accurate and repeatable. The springs were weighed on a scale accurate to 0.5 grams calibrated twice per year. They definitely met your final spring rate of 160 lb/in. 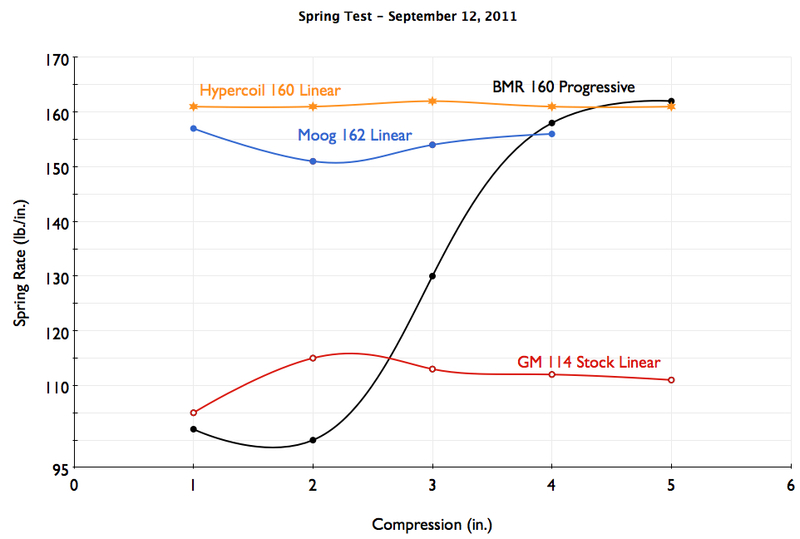 A graph of all springs test results. 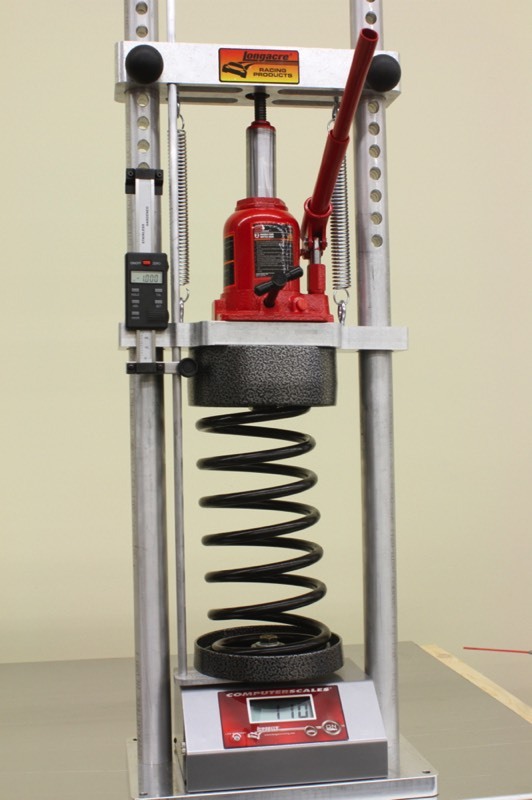 GM rear spring being tested in the Longacre Racing Products spring testing machine. BMR rear spring being tested. BMR rear spring after the "softer" part of the spring reaches coil bind (each coil in that section is touching another coil). This exits the initial spring rate phase and enters the final spring rate phase. MOOG springs side by side. You can see from this casual photo that one spring is a different height than the other. This was the only brand of spring we tested to exhibit such a poor quality control aspect. BMR front spring being tested. This spring was a very dangerous spring to test. 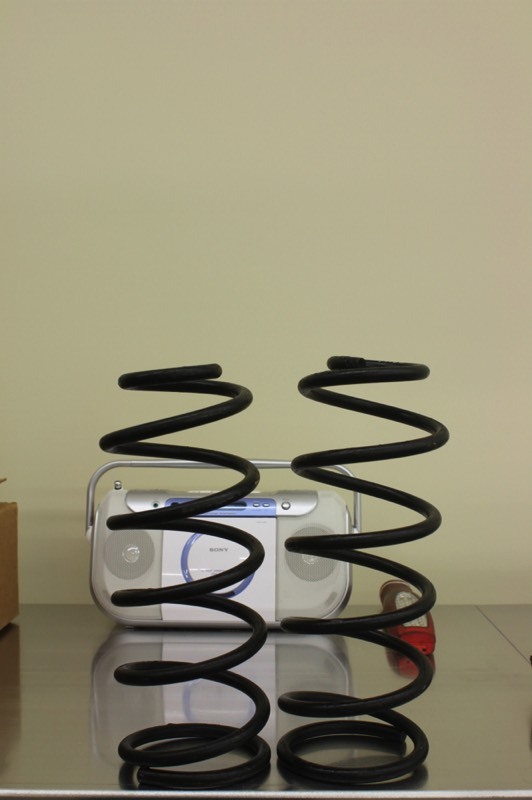 Compressing this spring just 2" resulted in over 1000 lbs of potential energy. Not something you want to stick your face next to.